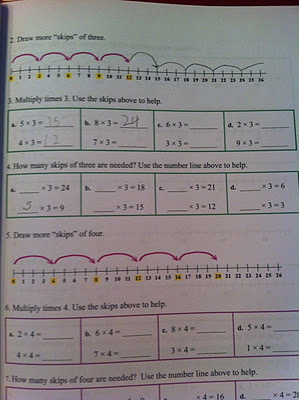 My six year old son has been using a Math Mammoth workbook in our homeschool over the past several weeks: Math Mammoth Multiplication 1 . This book is part of the Blue Series. Yes, Math Mammoth does offer full curriculum, but for review purposes I am going to concentrate on the Blue Series book we have been using. If you want general information about other products from Math Mammoth, please visit the page for Parents, which describes MM in detail. 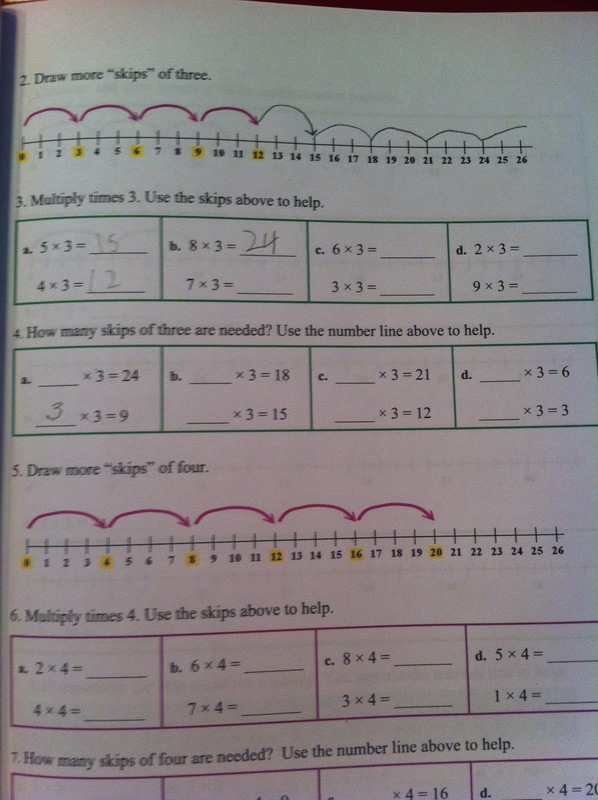 Math Mammoth stresses mental math and conceptual understanding --- I LOVED THIS from the get-go. What is Math Mammoth's BLUE SERIES? The Blue Series are worktexts on specific topics. Per Math Mammoth: "Worktext" means that the books contain both explanations of the concepts and lots of varied problems. It is like a textbook and workbook combined. The Blue Series can be a full curriculum if you wish, but read the website carefully about this. Math Mammoth does take careful research from the parent! The books are affordable; the downloadable versions range from $3-7. You can't beat that. These versions are also enabled for annotating - which means the student can use the annotating tools in Adobe or even the iPad for completing their work. We did not use this. I simply printed out the pages as we went and put them in a folder for my son. I could see, however, that the feature was available. Complete information about the Blue Series can be found on Math Mammoth's website, along with a list of all of the Blue Series worktexts available. At first glance, the whole Math Mammoth program and website appears confusing, but there is an option to take a tour of Math Mammoth for free (simply scroll to the bottom of this page and enter your email address). I also found Maria Miller to be extremely helpful when trying to decide which product to choose! I was looking for something to supplement my son's current curriculum - he LOVES math and needs to keep moving at a quick pace in this subject. Math Mammoth was perfect for that! I loved the fact that the worktext was supplementing what my son was already learning in his math curriculum we have been with for the past two years. The lessons were short, simple, and achievable. From the teacher perspective, the explanation was clear and concise. All of the information I needed to teach him was contained in the .pdf download. At the cost of $5 for this download, I thought it would be SO WORTH IT to have bought this myself. I can definitely see using more Math Mammoth in the future. After becoming more familiar with Math Mammoth, I could also see us possibly choosing one of their COMPLETE CURRICULUMS, too. Please please visit the crew blog to read what others are saying about Math Mammoth. We've all reviewed different pieces of it and you will be able to get a more complete picture this way!